We are excited to help you find the perfect Lake Travis vacation rental for your family or accommodations for your wedding guests at the best possible price. With over 30 properties to choose from around the North Shore of Lake Travis, you will have no problem finding just the right place to get away and relax. We offer a variety of privately owned vacation condos and homes from luxury to budget-friendly, ordinary to extraordinary, and traditional to modern. North Shore Vacation Rentals has it all! Pet Friendly rentals are also available. Whether you are on a romantic getaway for two, or planning a family reunion or a Wedding at our local wedding venues, we can make your stay enjoyable! Please call or visit our website for local attractions and things to do in Lago Vista, the Texas Hill Country and the North Shore of Lake Travis. Each of our properties offer a unique experience for our guests from lounging poolside with a lake view to exploring the Texas Hill Country on golf carts, racing through steep terrain on ATVs, and zip lining over Lake Travis. 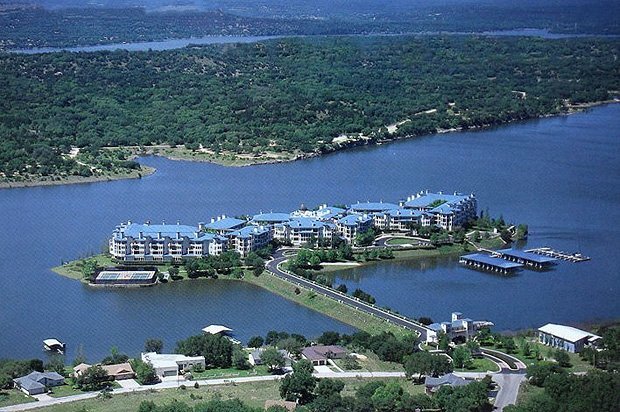 All our locations have easy access to boat rentals, kayak rentals and are a short distance away from Lago Vista’s best restaurants, Flat Creek Bistro and Haven on the Lake. We provide accommodations for nearby wedding venues including Nature’s Point, Villa Antonia and Flat Creek Estate. Tour our website or call our office and see what adventures await you during your vacation to beautiful Lake Travis. Lake Travis is a paradise deep in the heart of Texas, where water flows through limestone cliffs and the beauty of rock-lined canyons intermingle with the pristine wilderness of the Texas Hill Country. The clear waters of the Colorado River meander for 65 miles through heavily wooded hills to create the premier recreational lake in the Southwest. Lake Travis is centrally located just minutes from Austin and approximately three hours from Dallas, Houston, and many other Texas locations. Activities on the lake are abundant including boating, sailing, jet skis, restaurants, cliff jumping, zip lines and more. Adjoining the lake are numerous parks with hiking and biking trails as well as scenic vistas and picnic areas for your land based excursions. If you enjoy taking day trips, then the majestic Texas Hill Country is just outside your door. Quaint villages such as Fredericksburg, Wimberley, and Kerrville are about an hour’s drive from Lake Travis and provide great scenery and shopping. Whether you prefer just relaxing in the beautiful surroundings of nature or being active with water sports, hiking or nearby Austin nightlife, Lake Travis is a great getaway! Please browse our beautiful vacation condos and homes located in various communities on the lake and let us know if you have any questions. Every vacation property on our site can be booked directly with just a few clicks!